Am a day late in doing this one up. Here’s the progress for the week. 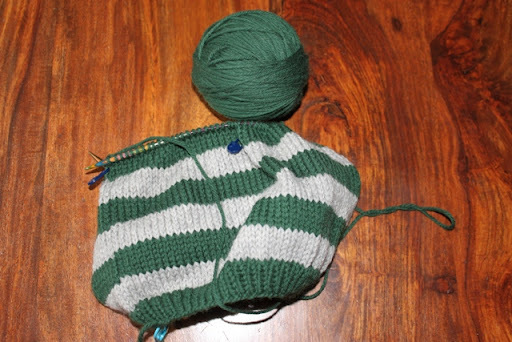 I worked on Dominc’s Slytherin Beanie and its now as far as the decreases. I also crocheted some more squares that I showed you last week. These I’m loving as they are so quick and easy. Thank you for the all the answers on what is a good size to make the baby blanket. It gives me an idea of what I’m aiming towards. I also finished this weeks cloth but was busy on Thursday so didn’t get round to blogging about it. This cloth is for Elizabeth and she picked out this colour from the tub lol. This week I’m hoping to finish the above beanie, do a couple more squares and knit another dishcloth for my dishcloth challenge. This entry was posted in Uncategorized and tagged Dishcloth, Slytherin Beanie, Vintage Crochet Granny Square.. Bookmark the permalink. 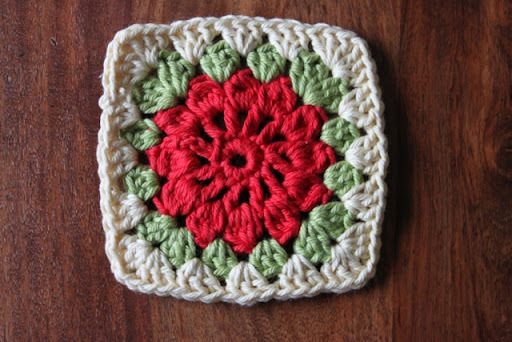 Still loving the vintage granny squares; it must be your colour choices that make them so nice! Can't wait to see how you put them together. Isn't crocheting satisfying? It's so quick to get a result isn't it….I think that's why I like it, especially when it's about 7pm and I realise I have a birthday gift to do for the next day, I can't tell you how many last minute presents I have crocheted! 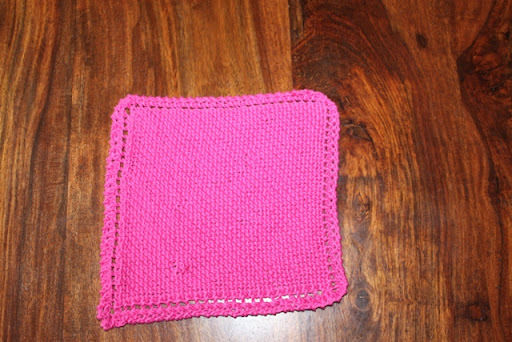 Awesome looking square, very pretty pattern and will make a gorgeous blanket.